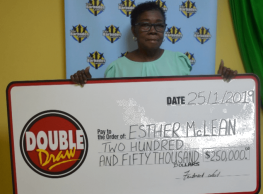 JALESHA FRANCIS is still beaming after a Quick Pick ticket she purchased at the Sawh Bank Hall on King George Road turned her into a winner in the Barbados Lottery Double Draw. 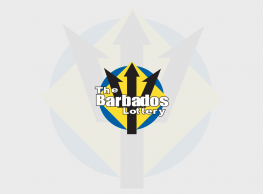 The $25 001 win (plus the $5 000 Bonus Ball) will definitely come in handy. 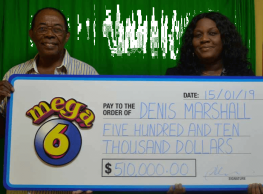 “I sent someone to purchase a 6 spot Quick Pick on Thursday evening,” said a usually busy Francis, “I checked the ticket in the night and realised that I didn’t win anything.” Undettered, the 25-year-old mother of one boy checked again the following day. 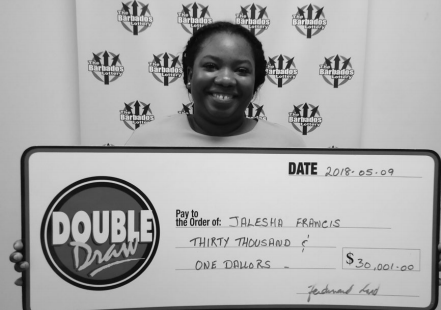 “For the very last draw on Friday night, I checked online after and realised I had won.” Francis has been playing for only about a year after being enticed by the popularity of the Double Draw game. She has no regrets as it has, understandably, become her favourite.